Learn where monarch butterflies migrate through the state en route to Mexico; follow divers beneath the Atlantic Ocean to Florida’s coral reefs. 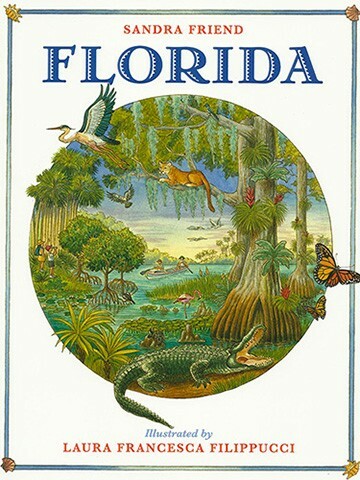 For ages 5-10, Florida makes a fine introduction to the Sunshine State, and is a great gift book for visitors. Laura Filippucci’s lush drawings bring my children’s book on Florida’s natural and cultural heritage to life. 32 pages, full color.